This package is available for the day visitors as well as the visitors halting in different packages who like to explore the nature by foot. 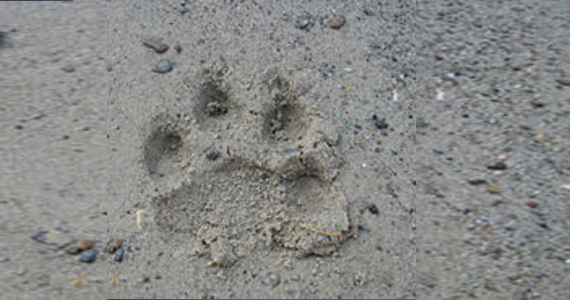 This is an opportunity to track those glorious pugmarks left behind by the greatest and charismatic cat - The Tiger. During the trail one can also witness other great carnivores like Dholes and leopards apart from numerous herbivores like Elephants, Gaur, Sambar, Spotted Deer, primates like Nilgiri Langur, LTM, Slender loris and omnivores like Sloth Bear etc. The route for the Pugmark trial starts from Anappady – Seechali – Seechali Bridge – No 1. Tunnel entry back to Anappady covering 6 km. The charges for Pugmark trial for two persons 800 and for additional persons 400/head with maximum of ten persons per group. Two trained naturalists will be provided for the entire trip.